Founded in 1983, the Democratic Governors Association, or DGA, is an independent voluntary political organization organized to support Democratic governors and candidates across the nation. 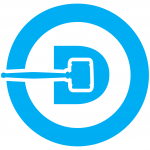 The purpose of the Democratic Senatorial Campaign Committee is to elect more Democrats to the United States Senate. From grassroots organizing to candidate recruitment to providing campaign funds for tight races, the DSCC is working hard all year, every year to elect Democrats to move our country forward. The Democratic Congressional Campaign Committee serves as the official national Democratic campaign committee charged with recruiting, assisting, funding, and electing Democrats to the U.S. House of Representatives. The Democratic Legislative Campaign Committee, or DLCC, works to win state legislative seats and chambers for Democrats. The DLCC’s mission is to build and maintain winning, state-of-the-art campaign committees through a continuing partnership with legislative leaders, professional staff, and supporters. The Association of State Democratic Chairs’ mission is to help build strong state parties in order to elect Democrats from the statehouse to the White House. To accomplish this goal, the ASDC focuses exclusively on the current and future needs of state Democratic parties. The state Democratic parties work to elect local, state, and federal candidates in their states. Democrats are committed to building the party from the ground up, in every single precinct in the country.